Daddy Shows Crazy Love To Their Favorite Cars (BMW and Jaguar). 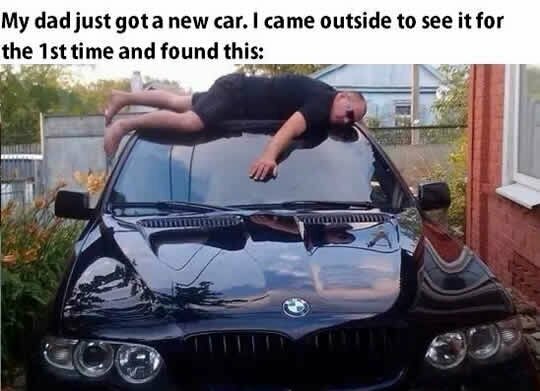 #1 Dad gives his biggest hug to his first BMW car. 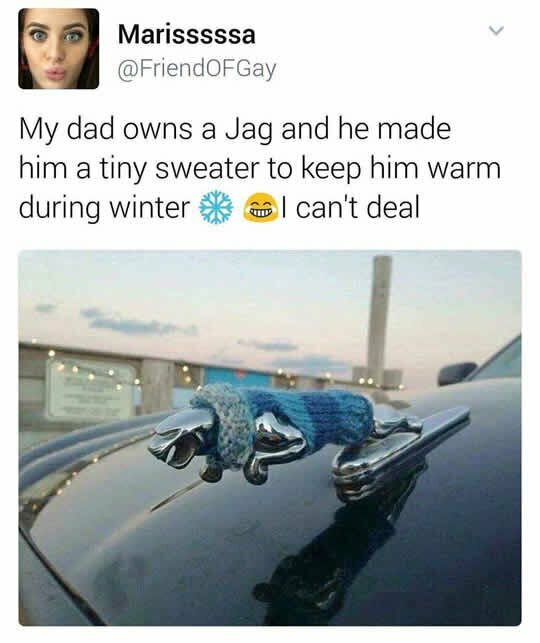 #2 Dad made a tiny sweater for his Jaguar car sign during the cold winter.